Larvae feed on a variety of grasses including guinea grass (Megathrysus maximus – Guinea grass). Mature larvae have a pale green to grey body, head pale brown or black with bands. 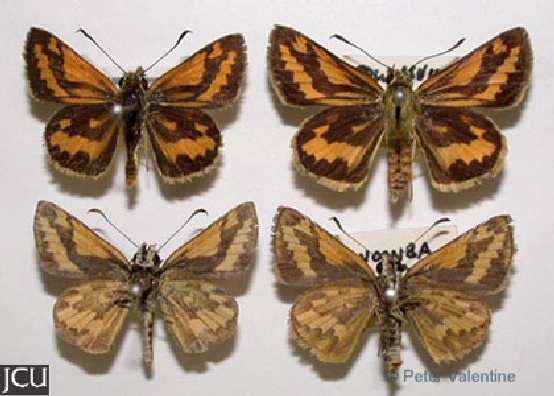 Adults brown with extensive orange markings on upper surface, lower is basically yellowish-orange with a brownish central area.